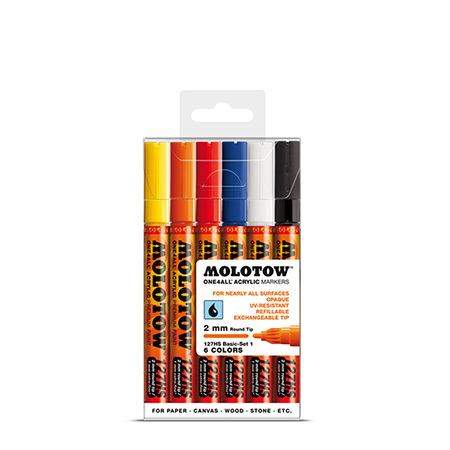 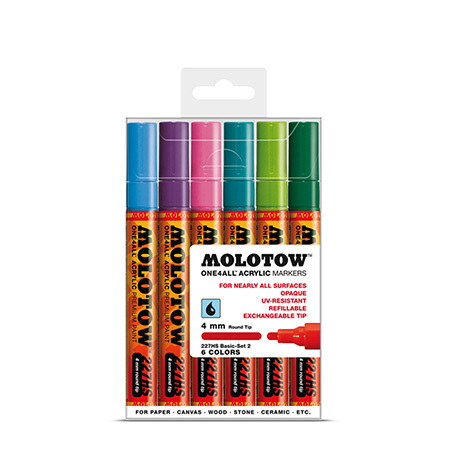 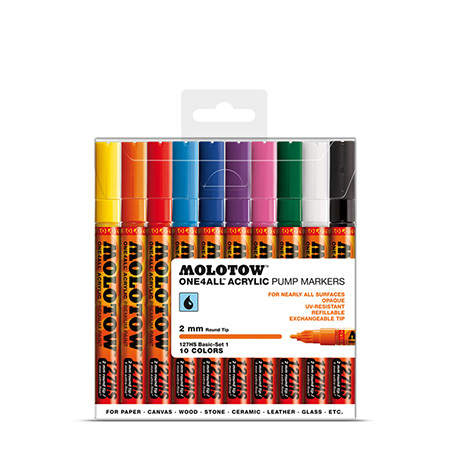 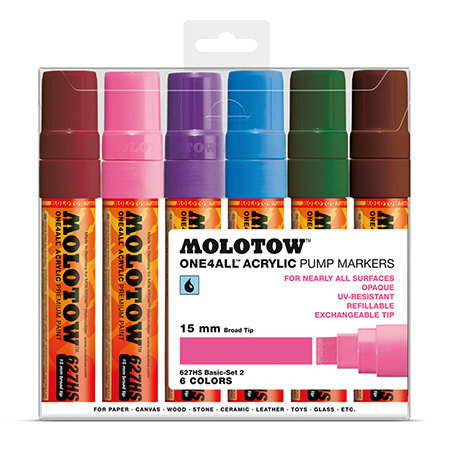 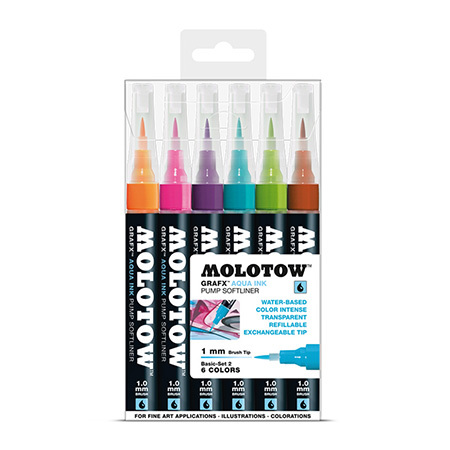 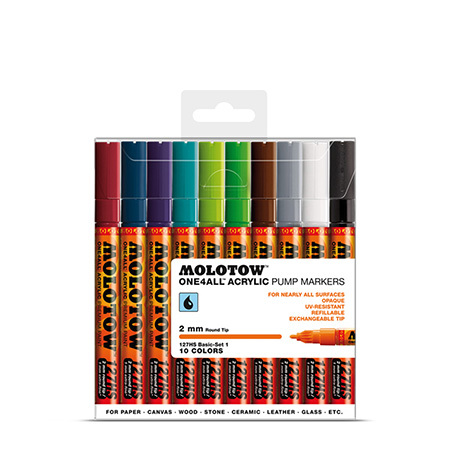 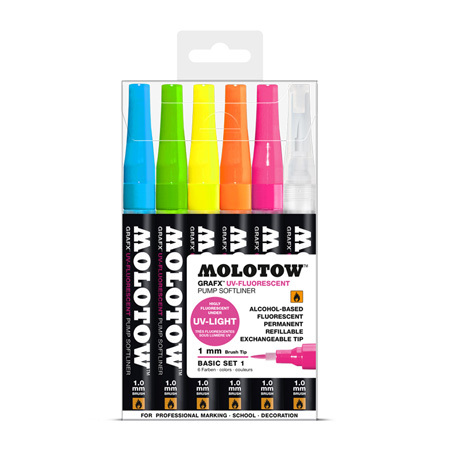 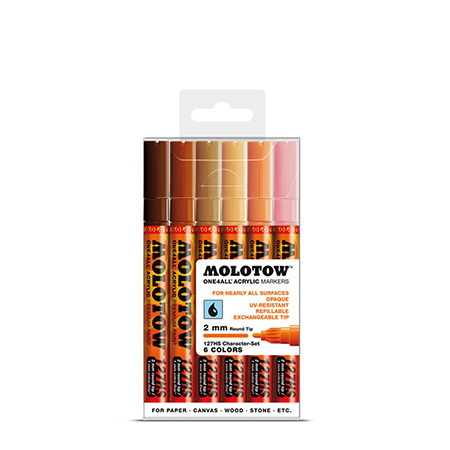 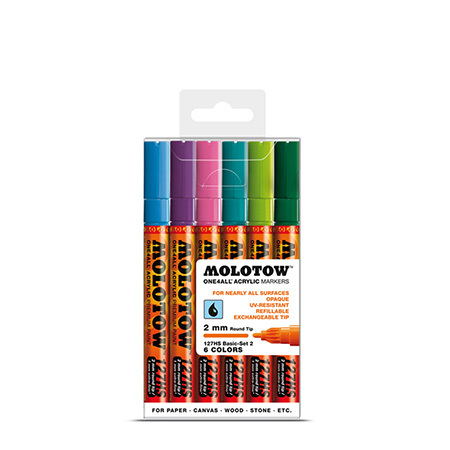 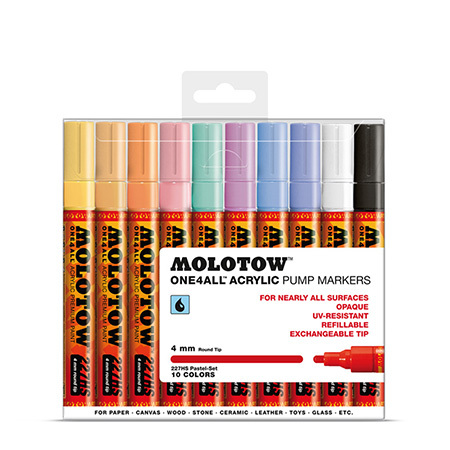 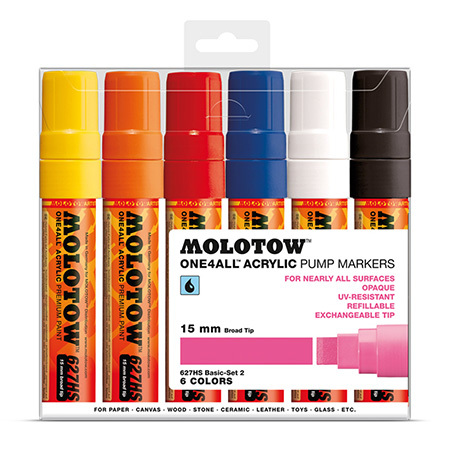 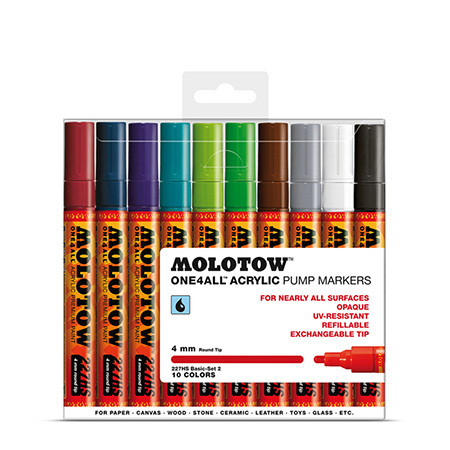 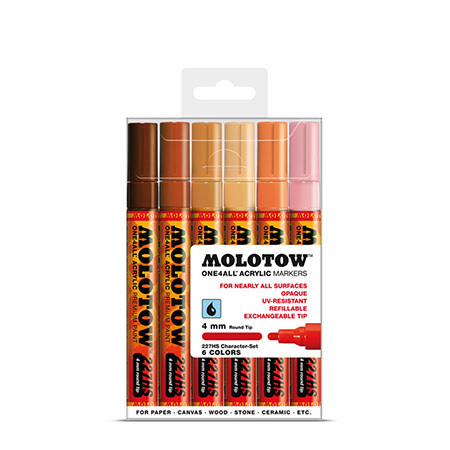 Brandnew MOLOTOW™ Marker Sets are available now including new MOLOTOW™ ONE4ALL Basic, Pastel and Character Sets plus MOLOTOW™ GRAFX Aqua Ink Basic-Sets and a supernice MOLOTOW™ GRAFX UV-Fluorescent Basic-Set! 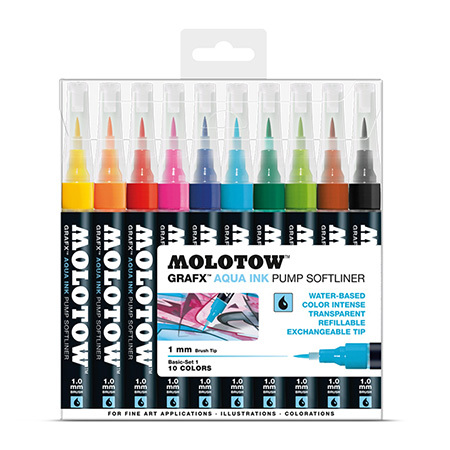 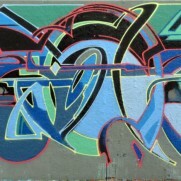 Checkout the Overview after the jump and ask your local dealer. 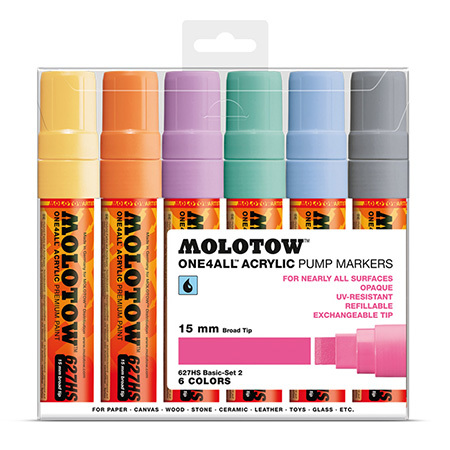 Their onlineshop offers the new sets here!